The windows presented here are installed in client homes. 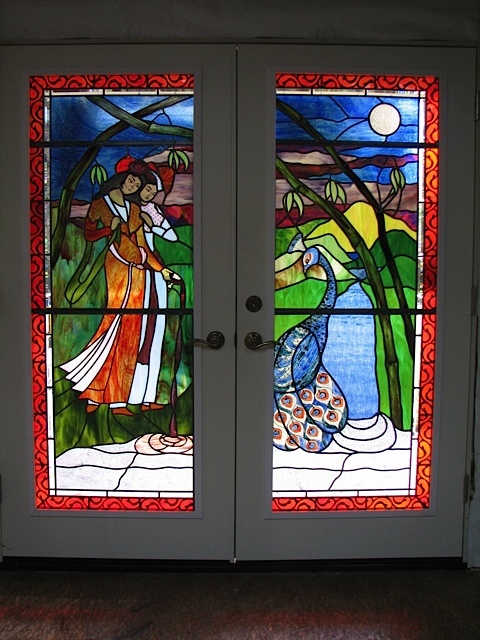 Each window was commissioned to fit a physical space and artistic desire. 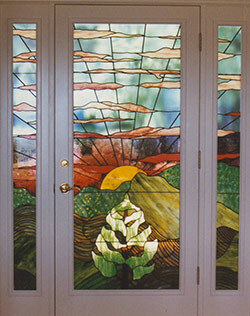 The client has final approval of design, color and type of glass used in fabrication. The Sunset Door reflects a typical twilight sunset over the Napa Valley as seen from the overlooking deck of a private home. 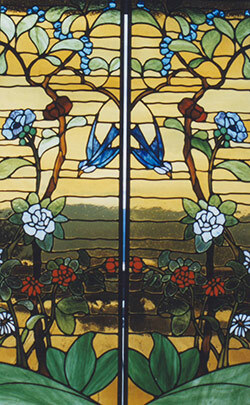 The Chinese Garden windows were designed from a painting hanging in the home of a grape grower. They are side lights for the entry doors. 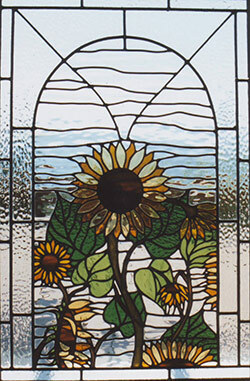 The Sunflower Garden is located above the sink in a kitchen that looked out on an empty lot. Now the garden floods the kitchen with pleasant light. This window looked out onto the house next door and required curtains to make it private. The Spring Morning provided this Victorian bathroom with the privacy desired along with bright cheerfulness. 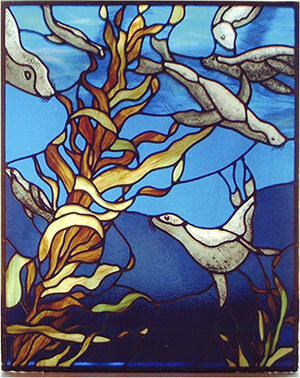 These Sealions and Seaweed give a soft meditative privacy to a bathroom that looks out onto a porch that over looks the Pacific Ocean in Bodega Bay, California that was put on the map by Alfred Hitchcock’s The Birds.